An individual’s professional, academic, and financial credentials can take on multiple forms with varying degrees of private information, easily accessible in both the real and virtual worlds. Whether applying for a job, graduating from college, or completing a course or licensure, a credential is either being verified or issued. Certificates, academic information, professional competencies, licenses, and other personal qualifications are quickly becoming a new form of currency with digital credentials. As education and specialized credentials such as diplomas, degrees, licenses, and professional certifications have been shifting from paper to digital certificates (PDFs) to online profiles in recent years, the methods of verifying them haven’t kept up. This is especially important for high-stakes credentials. Digital credentials are the next phase in a person’s ability to represent key personal information, skills or certifications to various entities. Whether for a job application, a professional licensure, insurance needs, financial transactions, or educational admissions requirements, digital credentials are changing the way we verify personal information, make key hiring or purchasing decisions, and basically represent ourselves. Many companies can deliver badges, but only TrueCred® digital credentials are digitally signed, portable, and verifiable to protect high-stakes information. Our technology is the first software service for processing and exchanging portable, tamper-proof digital credentials. Our solution proves a digital credential’s authenticity, who issued it, and to whom it belongs and brings together a set of tools to serve individuals, issuers, identity providers, consumers and publishers of digital credentials in multiple industries. It’s not a digital credential unless it’s TrueCred®. As the need for a secure environment for verifying and issuing the new digital badges and credentials grows, the imperative need for a trustworthy, efficient and secure ecosystem is clear. Our solution enables the distribution of TrueCred® and addresses the need for trust, security, efficiency and interoperability with its proprietary suite of interoperable tools and APIs. 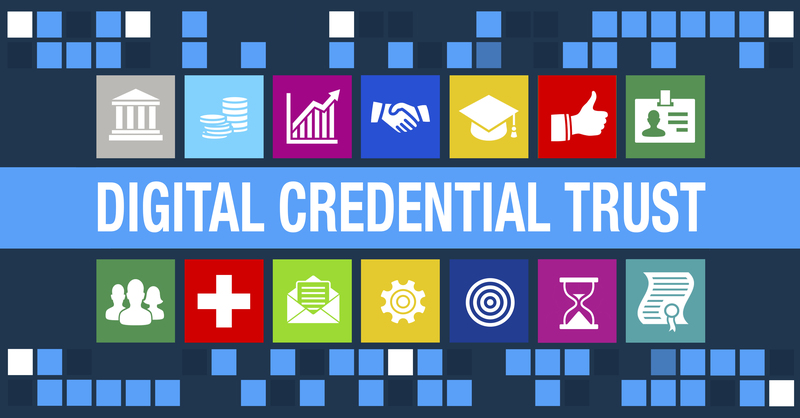 Rely only upon TrueCred® and maintain Digital Credential Trust™. 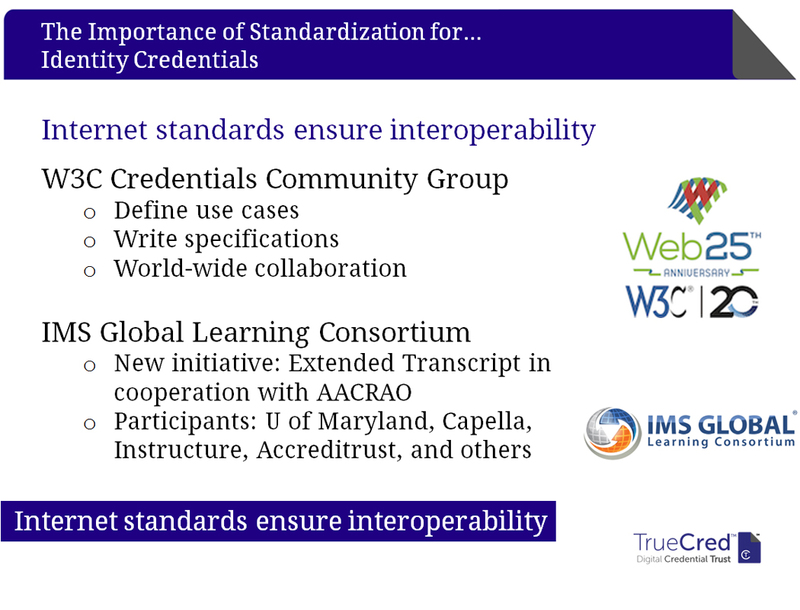 The creator of TrueCred®, Accreditrust, is a member of the World Wide Web Consortium (W3C), working to create a set of standards for digital credential processing and information-sharing, leading the digital credential movement with a standards-based ecosystem utilized worldwide.